If you are looking for a car sale that can provide you with expertly engineered vehicles, with all of the safety features and handling capabilities you could ask for, then a BMW is a perfect match for you. Mississauga residents can obtain all of this and more, with a visit to Pfaff BMW. Please read on to learn the benefits of driving a BMW. If you are looking for a car that will hold up under pressure with years of use, then BMW is right for you. Unlike other mainstream models on the market today, this superior brand of automobiles is made to last. Whichever model in the BMW lineup you have your sights on, you will be met with a comfortable and quiet cabin every time you take your car for a spin. Added insulation and higher-quality materials and glass are used to provide drivers and passengers alike with a relaxing ride, free of loud road noises and droning winds. The research, resources, and skills that are funneled into the creation of every BMW are astounding. Backed by decades of innovation and ground-breaking design, each new model is packed with more horsepower and torque, enhanced handling capabilities, and stronger suspensions to bring you the best of the brand, every time. BMW continues to push new technology to the limits, offering more safety and assistance in their most recent models than ever before. BMW ConnectedDrive is a suite of safety, convenience and infotainment services that bring peace-of-mind and added security and confidence to every drive. 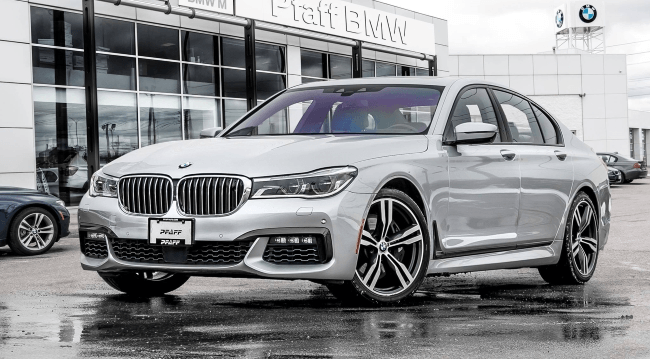 Discover the acute capabilities of Active Cruise Control with Stop-and-Go functionality, Steering and Lane Control Assistant, Lane Keeping Assistant, Lane Departure Warning, Lane Change Warning, and much more, when you get behind the wheel of one of the latest BMW models to hit our dealership. If you live in the Mississauga area and are looking for a nearby dealership that offers quality-made cars, with all of the benefits listed above, then a visit to our facility is a must. Located at 4505 Dixie Road, Pfaff BMW is ready and waiting to provide you with the latest in the brand’s lineup. For more information about how you can get behind the wheel of one of our superior vehicles, please feel free to continue browsing through our website. Click here to find our contact information, schedule a test drive, or to fill out our contact form for further assistance.